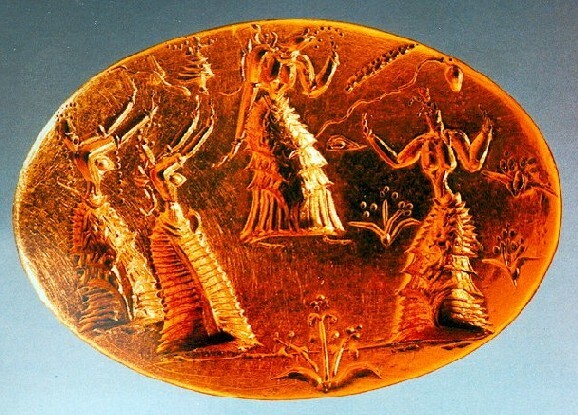 Minoan jewellery pictures collection from greek museums Each thumbnail photo is a link to a larger version of the same photograph. Gold pendant with two wasps from Mallia. Herakleion Archaeological Museum. 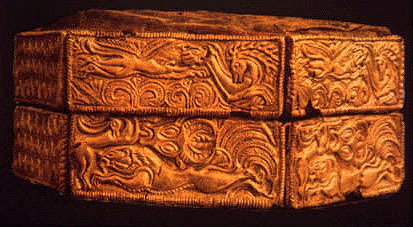 Gold cascet from Mochlos dating to the 2nd half of 3rd millenium BC. Herakleion Archaeological Museum. 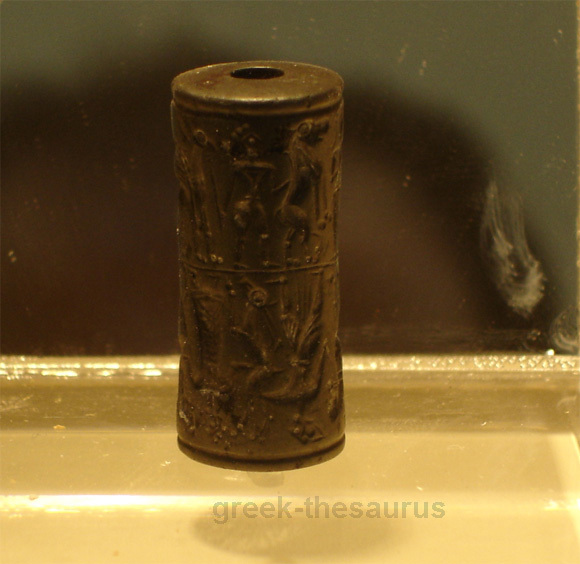 Haematite cylinder seal. Depictions of a chariot race and Mistress of the Animals, the great goddess of nature. Astrakoi near Knossos. 15-14 th.cent BC. Herakleion Archaeological Museum.